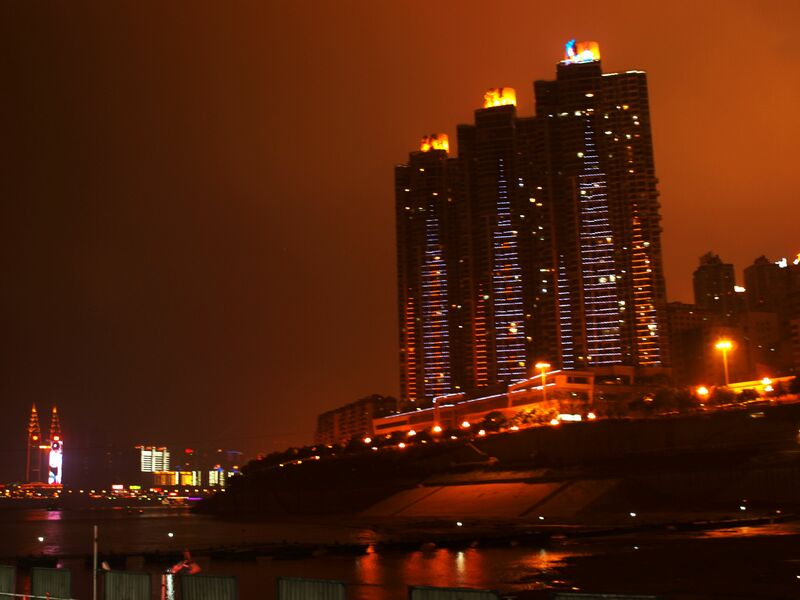 3 Gorges Tour takes you on the journey down the Yangtze River from Baidicheng at the entrance to the Qutang Gorge, through Wu Gorge, Xiling Gorge then down the ship-locks of the Three Gorges Dam to Yichang. 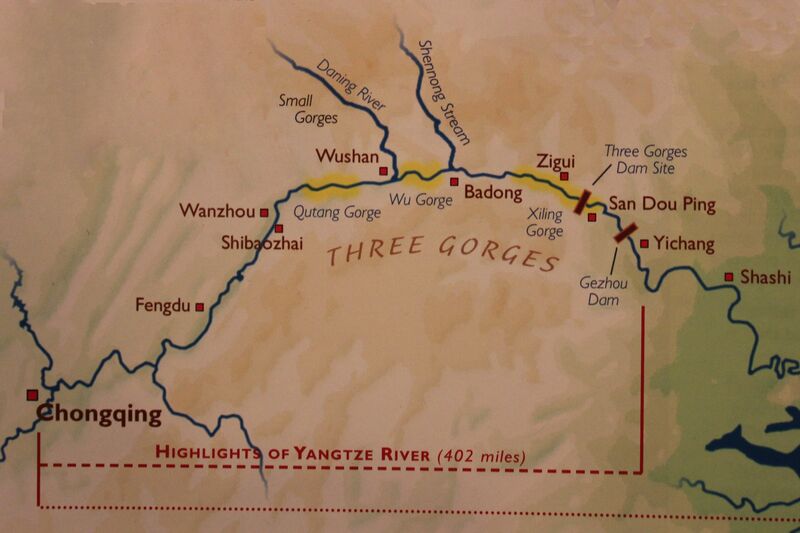 The area of Three Gorges has the total length of about 120 miles (200km). 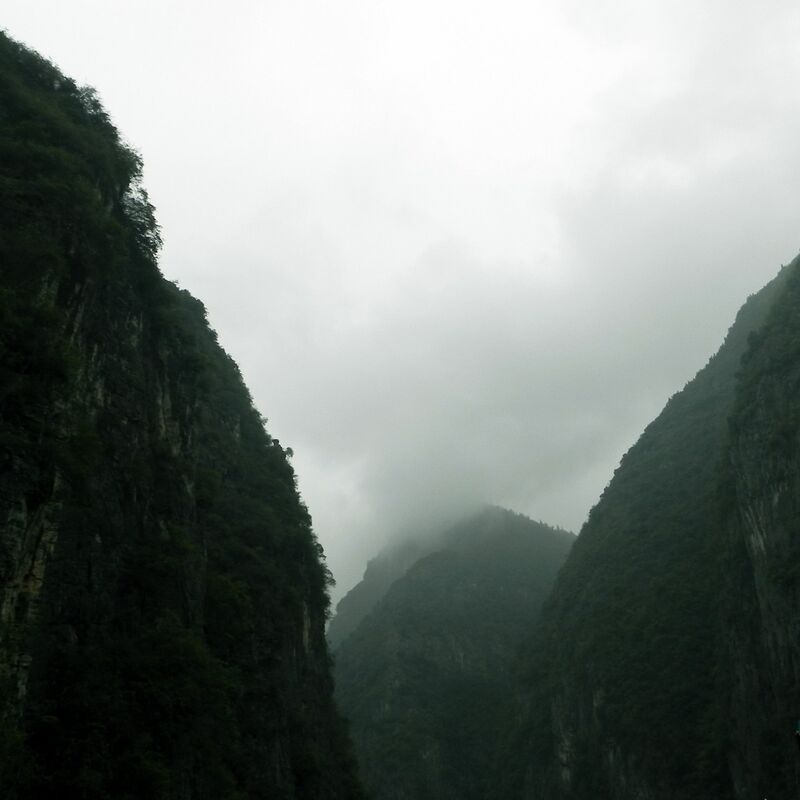 In a way each gorge is different – Qutang seems to be Majestic, Wu Gorge is an example of Elegance while Xiling Gorge symbolizes Danger. Regardless of this symbolic and emotional classification, all of them offer equally spectacular views and breathtaking sceneries. The whole area is a Nature Wonderland. Just imagine Rocky Cliffs (in broad spectrum of colors), Deep Water (quite muddy mainstream, but jade-green in Daning and Shennong tributaries) and a Blanket of Greenery beautifully blending with surroundings in a sort of “slow motion” presentation unfolding in front of you. 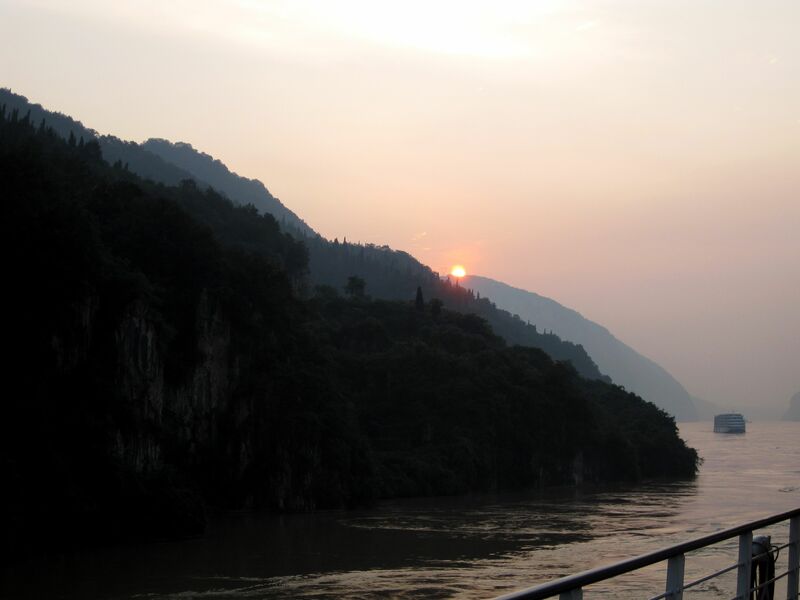 Think of some sections of gorges veiled in a White Satin of mist while others bathing in the sun…..Then you can add to this scenery a long history of Chinese civilization that took roots along the Yangtze Waterway - marked by historical sites and beautified by countless myths and legends….. The gorges were deep even before construction of the dam. 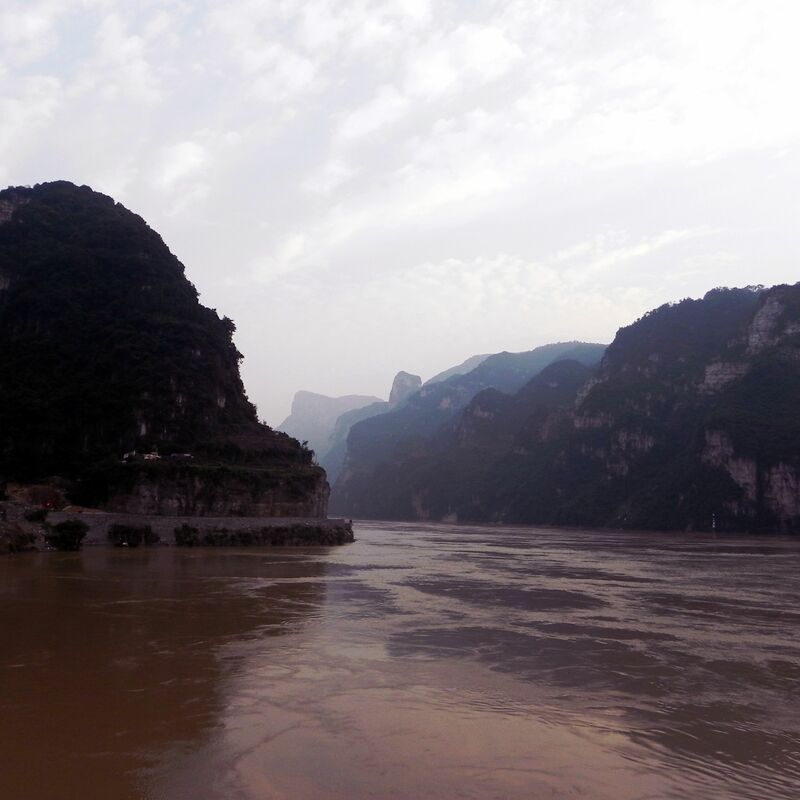 Now, after inundation in some places the depth of the Yangtze River exceeded 600 ft (180m) making it one of the deepest rivers in the world. 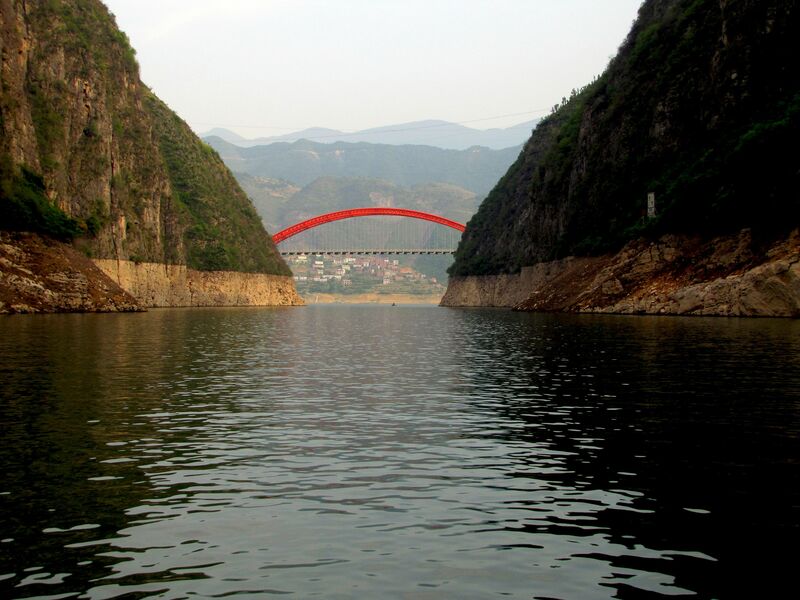 It also opened previously hardly accessible area of Lesser Three Gorges and Shennong Stream – the land of mysterious ancient people Ba ….. 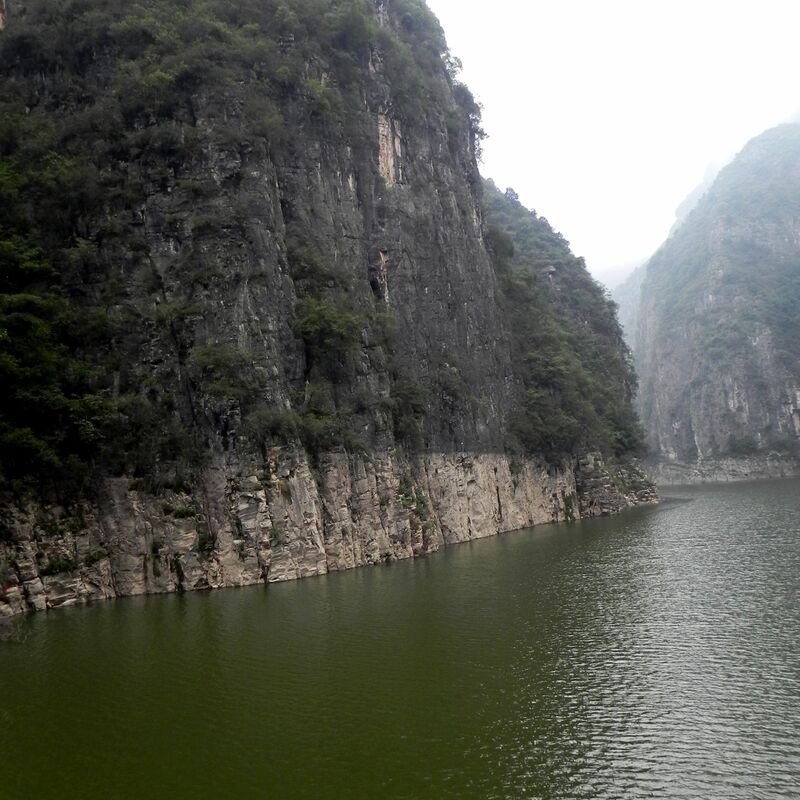 This is the first of 3 Gorges in the downstream direction of the Yangtze River. 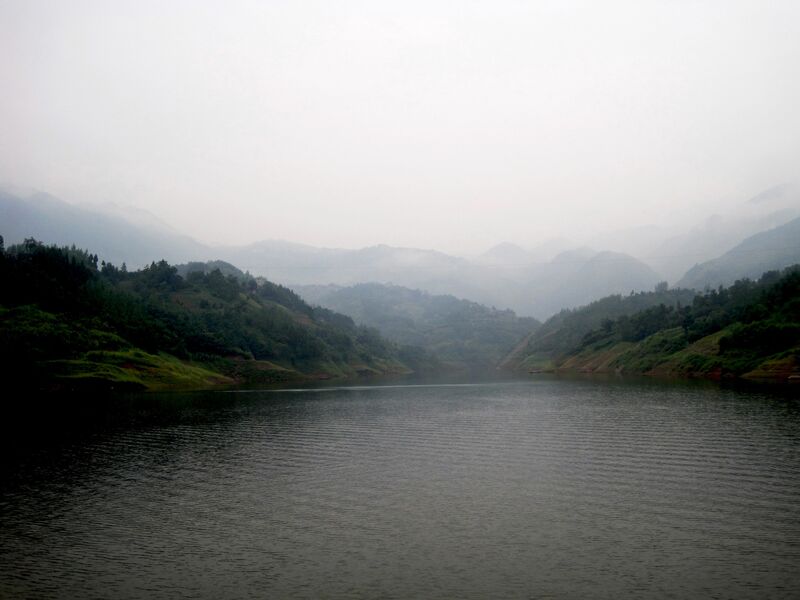 It stretches from Baidicheng (White King Town) in Fengjie County to Daxi Zhen (Wushan County). 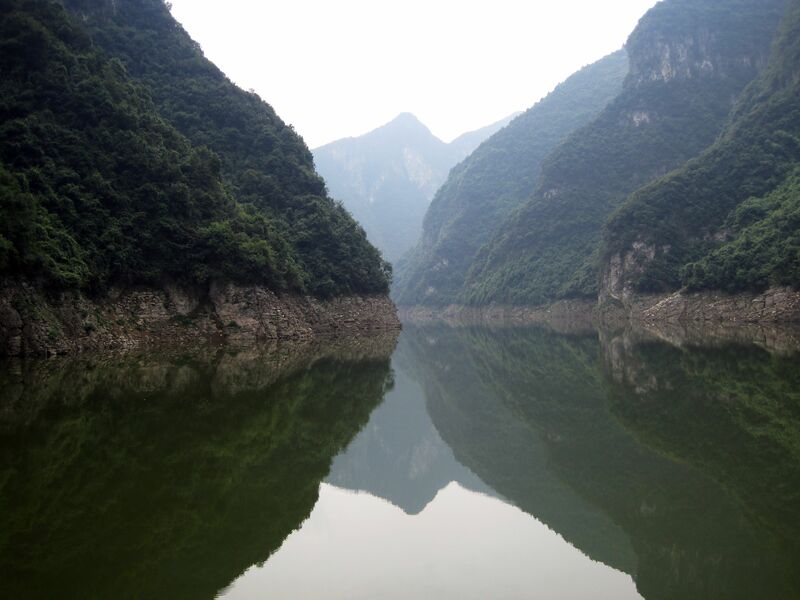 Qutang Gorge holds few records – it is the shortest one with the length of only 5 miles (8km), narrowest - typically 400-500 ft (about 150m) wide but at one point it narrows to only 160ft/50m and probably it is the most scenic out of three gorges. Quatang Gorge could be considered as the “Gradual Introduction” to the journey along the river although its spectacular scenery right from the beginning may take your breath away…. Indeed the 3 Gorges Tour follows an old (and proven) scenario from Hitchcock’s movie (it starts with an earthquake and then the tension is continuously rising). 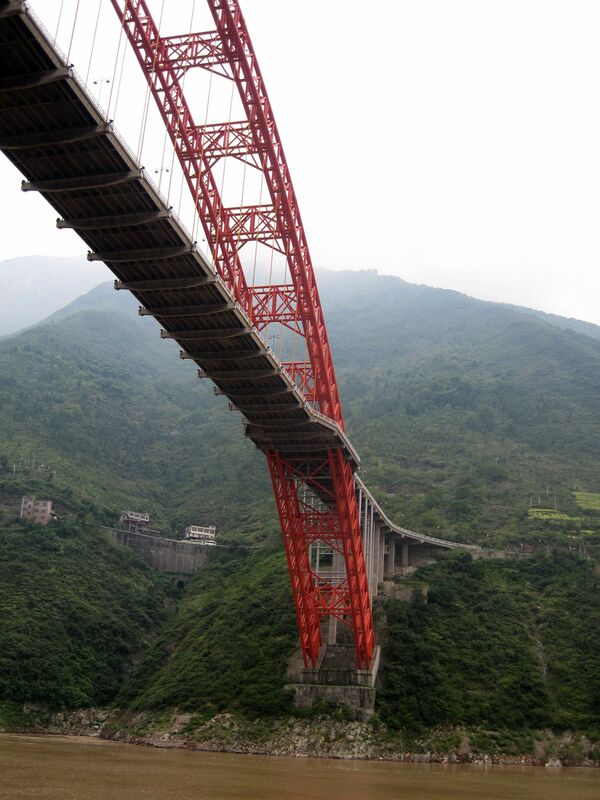 Similarly, entering the last of three gorges - Qutang Gorge, Yangtze crosses the Kui Gate (also called Qutang Pass) – the narrow opening flanked on both sides by correspondingly Mount Baiyan and Mount Chijia. Mt. Baiyan (White Salt) gained its name due to its whitish limestone composition resembling the salt. 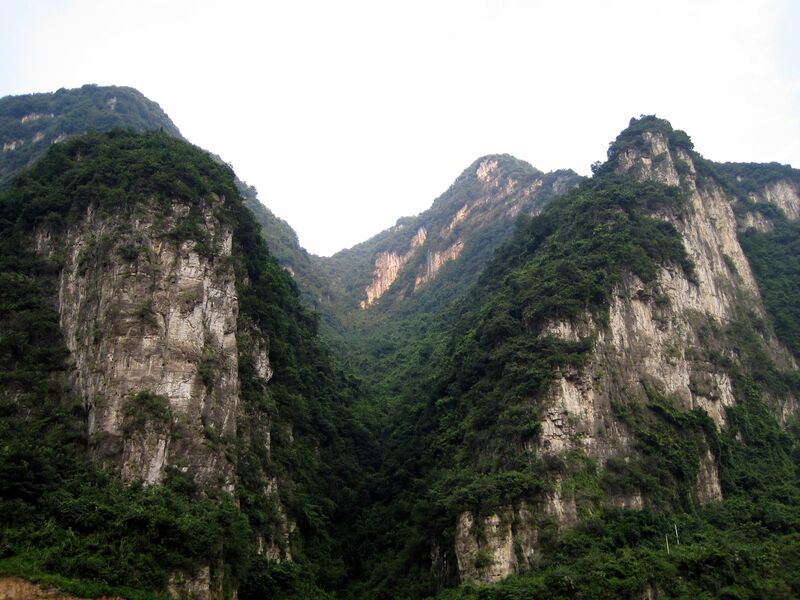 In the sharp contrast, the rocky wall standing on the opposite side of the passage – Mount Cijia (translated as Red Armor or Red Scale) is reddish. The imposing gate squeezes waters rushing through the narrow passage of no more than few hundred feet wide (about 100 meters). But this narrowness is generously “compensated” by heights of peaks making the gorge, some reaching 3,000 to 4,500 ft (1000 to 1,500 meters). 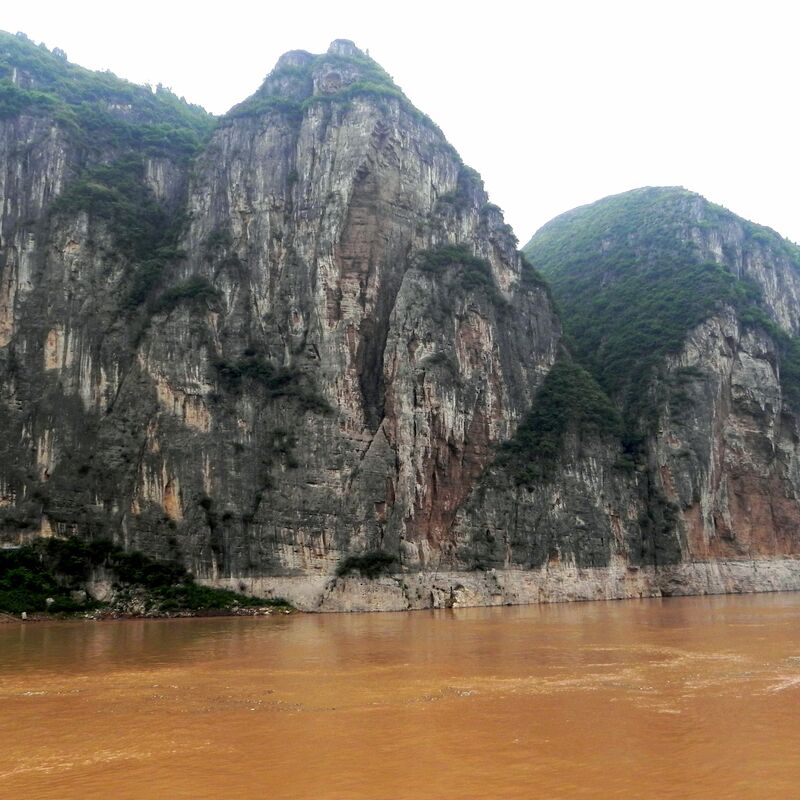 In the past Kui Gate was the most turbulent and dangerous passage in this section of the upper Yangtze river. Farther down the gorge opens a “kaleidoscope” of shapes and colors with depending on the time of the year - muddy-brownish or dark emerald green water, reddish and whitish cliffs and green carpet of vegetation. The gorge reveals an impressive exhibition of Works of Nature. But what really makes it “spiritual” is the Human Imagination bringing to life several otherwise motionless rocky forms. So you may see a Lonely Rhino Gazing at the Moon, Hanging Monk, Drinking Phoenix Spring (the latter is not visible from the river)…. Then there are also mysterious traces of ancient civilization like Meng Liang Stairway, Chalk Wall, Plank Road build along the cliffs, caves….. 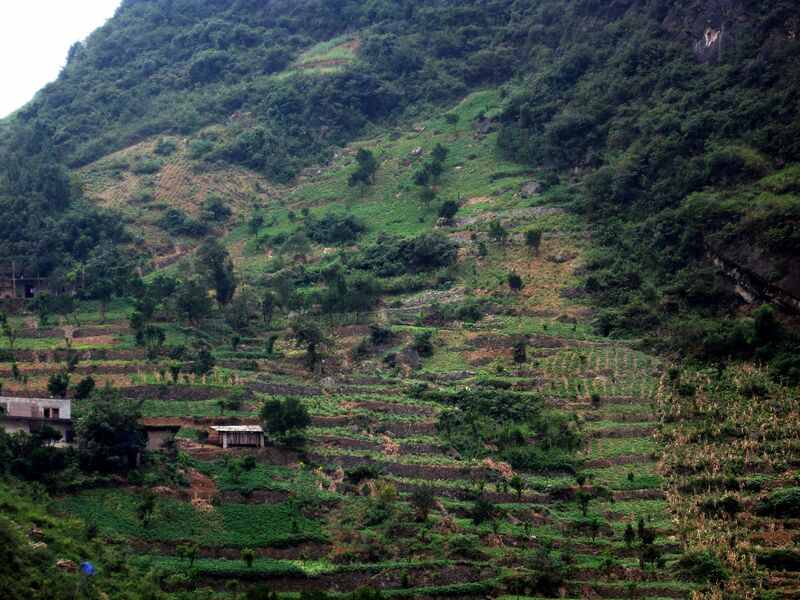 Unfortunately some of these old treasuries of civilization located along 3 Gorges are flooded by rising Yangtze waters. 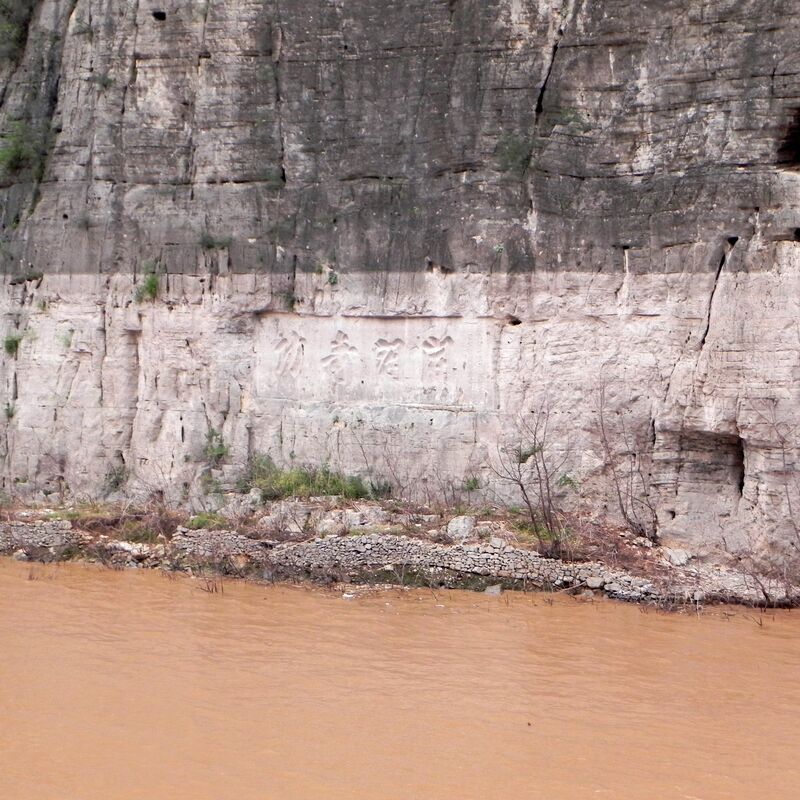 The original Chalk Wall (white cliff also called Water-washed Wall with numerous Chinese characters carved into the rock) is mostly underwater. That is also the destiny of the most famous inscription from the time of Song Dynasty - “Ode to the Resurgence of the Song”. 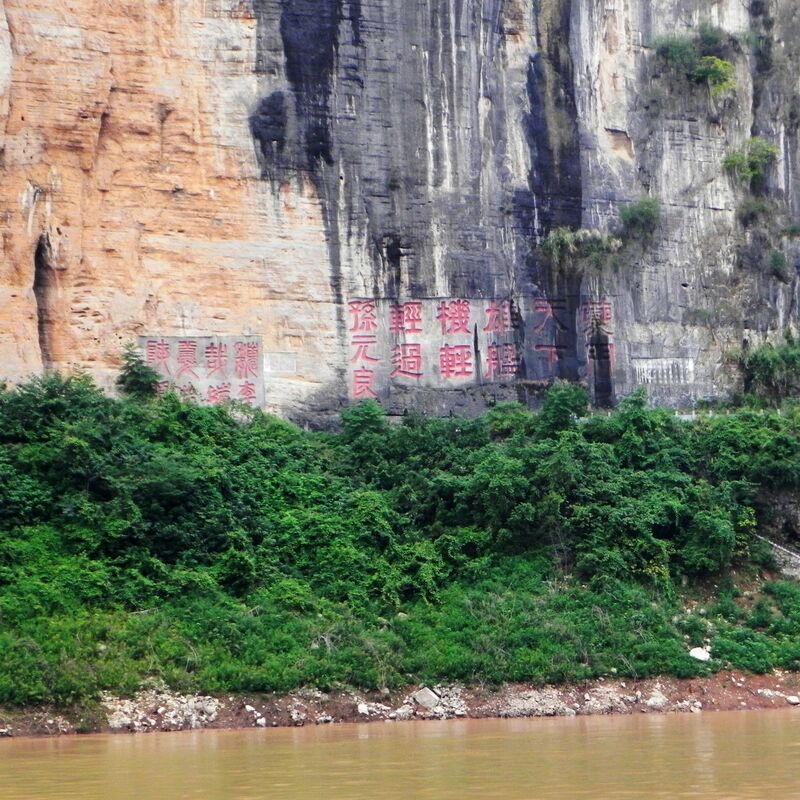 These days the historical calligraphy writings from the Song Dynasty (960-1279) are re-written at the upper parts of the cliff above the present-day water level to imitate the ancient ones. Similarly the Ancient Plank Road – an “engineering marvel” suspended along the cliffs or cut into the rock is now partially submerged. The origins of the Plank Road go back to the beginning of first millennium. Built, maintained and improved throughout centuries, the Plank Road is the living example of the “work-in-progress”. The main purpose of paths alongside the river was to enable haulers (trackers) to pull boats by ropes up the river. Turbulent waters and strong currents combined with numerous submerged boulders made almost impossible the navigation on the river by using oars. Some claim that the Plank Road was also serving as a regular passage for local people …. 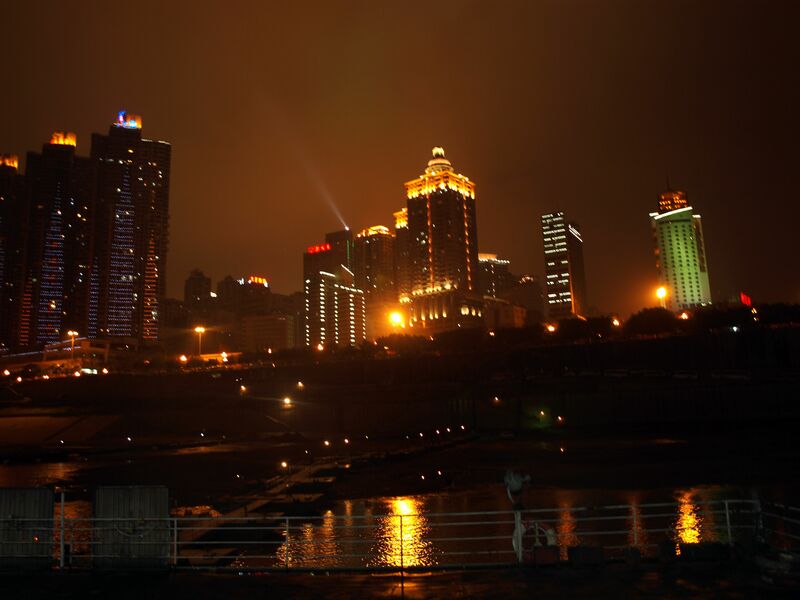 Leaving Chongqing, the mega-city of some 30 million inhabitants....! Practically the end to these heroic efforts came in relatively recent times with the advent of steamers plowing Yangtze’s waters. 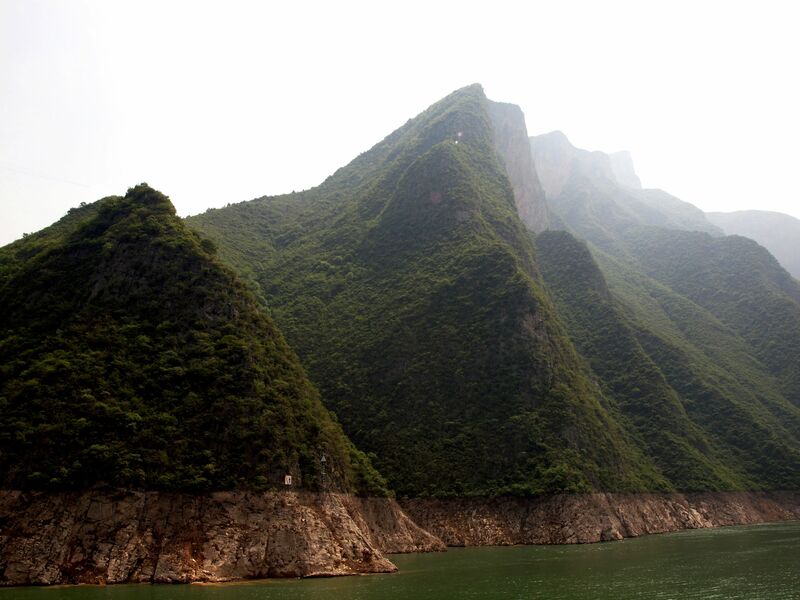 Then the Three Gorges Dam put the final accent on the navigation along the Yangtze. 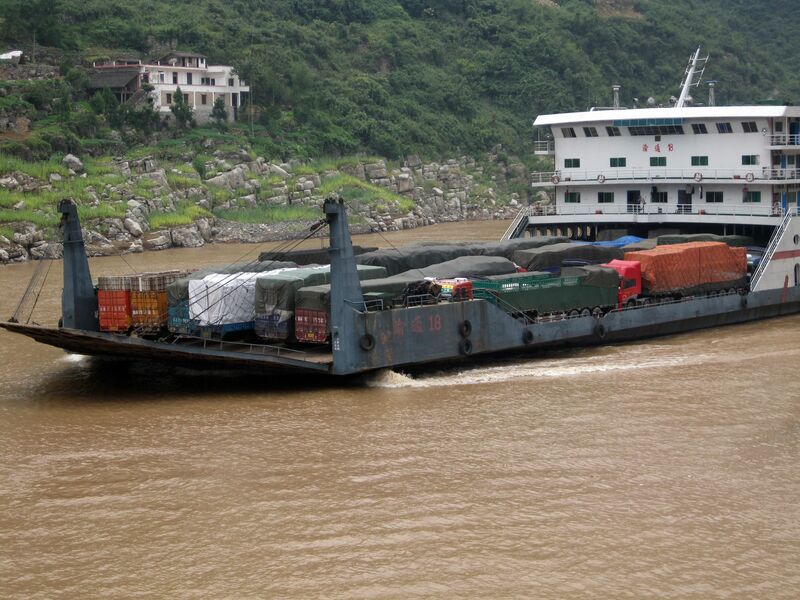 These days, haulers from Lesser Three Gorges demonstrate their skills only for the pleasure of tourists…. 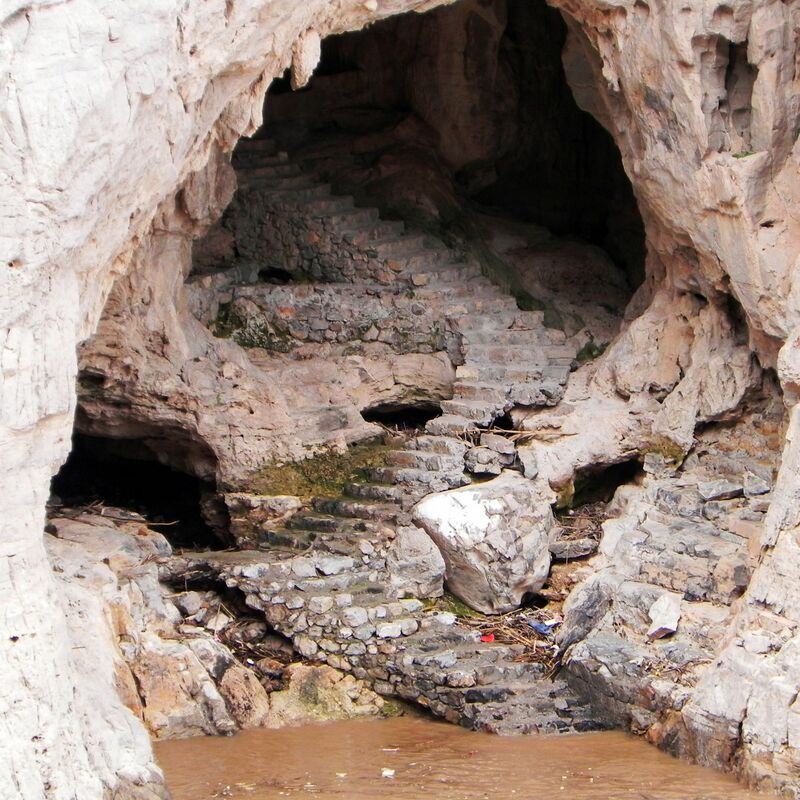 Meng Liang Stairway – mysterious series of holes cut in the cliffs at almost equal distance from each other do not have clear explication by historians. 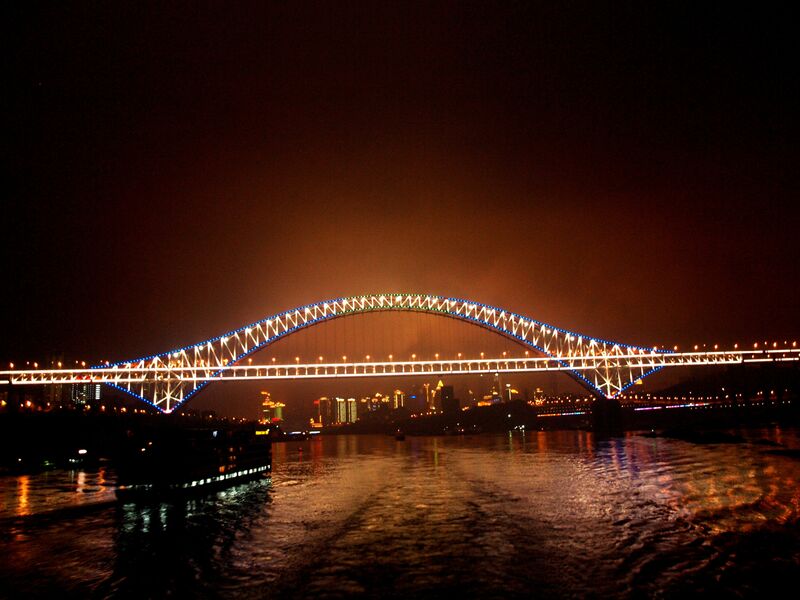 Named after legendary soldier Meng Liang, most likely they were used during construction of the Plank Road. All these artifacts confirm that since the “beginning of the known time” the Yangtze River despite its uncontrollable and dangerous might was playing the vital role in the rise of Chinese Civilization. And the nearby “White Emperor (King) City” (known also as the City of Poets) is an excellent example of glorious times of Chinese culture flourishing along this waterway.